Owning Sausalito real estate is like living on the French Riviera. Only minutes to the Golden Gate Bridge, Sausalito residents enjoy the charm of this seaside town and the sophistication of San Francisco. Sausalito has striking vistas of San Francisco to the south and San Francisco Bay and Mt Tamalpais to the east and north. Sausalito was settled by Portuguese and Italian fishermen and wealthy Europeans who appreciated the unique setting. William Randolph Hearst once owned a large property at the south end of Sausalito where he started to build an estate (designed in 1890 by Julia Morgan), but abandoned this project to build the San Simeon estate on the central California coast. 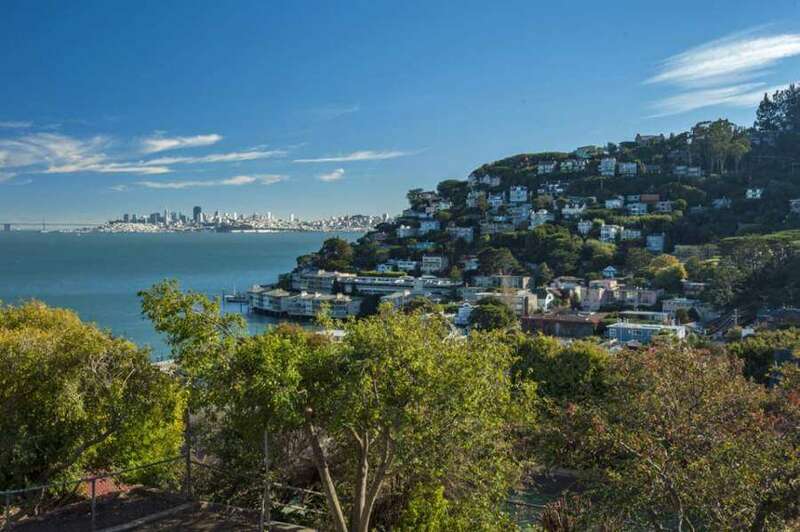 This area of Sausalito is now home to multi-million dollar properties with spectacular views of San Francisco and the Bay. Before the building of the Golden Gate Bridge, Sausalito was a stopping place for sailing ships to buy wood from the hillsides and fresh water from its mountain springs. From the beginning it has been a mixture of a good-time town, working village, a major transit point (to San Francisco, first by ferry boat), and a private retreat. 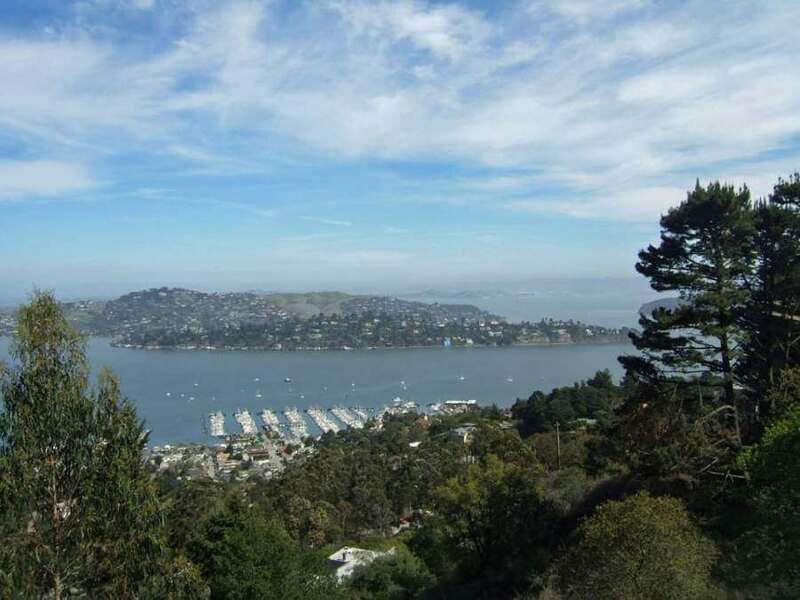 Today, Sausalito real estate provides a wide mix of houses, from restored Victorians to cozy condos. And, there is a unique community of about 600 houseboats on Richardson Bay that range from funky to spacious and elegant. Sausalito is a tourist town, but tourists concentrate at the southeast end of the peninsula and rarely go into the adjacent neighborhoods. Most of Sausalito is quiet and residential. 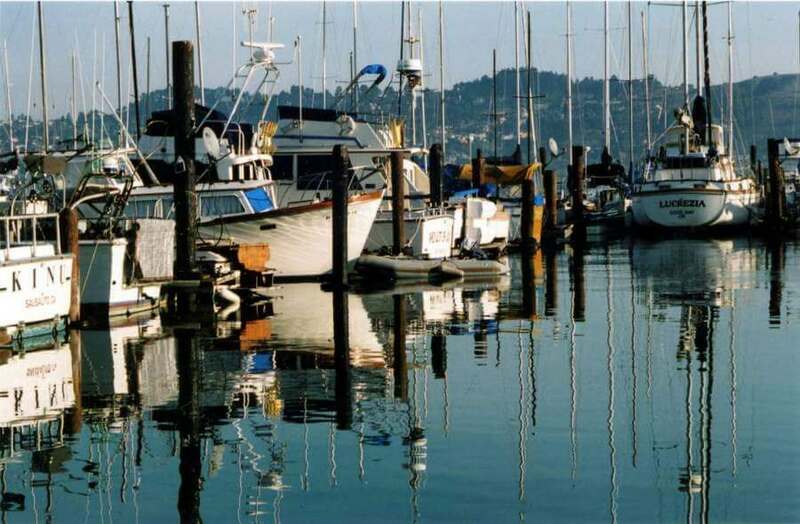 Adding variety and charm to the city, there is a Bohemian element descendant from the 60’s and 70’s, when Sausalito was a center of the Beat and music scene. All the residents of Sausalito seem to appreciate that they are living in a rare location, and are proud of their town. Downtown Sausalito has a ferry terminal for efficient and addictive commuting to the Financial District in San Francisco. Traveling by boat is a great way to meet your neighbors. Sausalito Art Festival World class outdoor art show going strong for more than six decades. Cavallo Point Lodge, a spectacular destination at the southern end of Sausalito, has saved and rejuvenated the former military installation of Fort Baker. There are restored, historic hotel rooms and modern hotel rooms with views of the Golden Gate Bridge, a fine restaurant and bar, diverse meeting rooms, and a fine spa. This is a top-notch hotel that has given this beautiful location a new life. Highly recommended! Inn Above Tide is tucked away off the downtown square, next to the ferry terminal. Your room hangs over the bay and gives you a direct view of San Francisco and the East Bay. Can’t get much better than this. One of Madeline’s favorites! Casa Madrona is on the hill above Bridgeway. It has beautiful garden cottage suites and newer hotel rooms with views of the water. Hotel Sausalito is a small, charming, renovated hotel on the square in the center of town. The Golden Gate National Recreation Area is at the south end of Sausalito. You have beaches and breathtaking views of the Golden Gate Bridge and San Francisco. If you like a moderate walk and spectacular views, visit Kirby Cove. The houseboat community is at the north end of Sausalito. You can start at Gate 5 Road and walk down the boardwalks between the boats. The boardwalks are lush gardens most of the year, the houseboats are richly imaginative, and the residents are very friendly. Bridgeway Street, at the south end of Sausalito, provides memorable walks with wonderful views of the Bay and San Francisco, art galleries, boutiques and restaurants. Caledonia Street. This is a shopping area oriented to locals, with great walking, restaurants and a movie theater, and Drivers Market, an organic grocery store. The Bay Model is an impressive three dimensional model of the entire San Francisco Bay, with water simulating tidal flows. Café Davino is a small café on Caledonia with a truly Italian atmosphere. The food is good and the atmosphere relaxed during the day and party-like at night. Great pasta, steaks, and chops. On most nights you can enjoy excellent jazz. Cibo, a high-tech Italian café in an old brick building serves excellent light food, pastries, and coffee. Fish, a fisherman’s cafe, sells great seafood plus bait and tackle for the early-morning fisherman leaving the nearby docks. This is a friendly, informal place worth a trip to the north end of town. Outdoor seating. When you see Molly Stone’s Market, make a right, turn and go down to the water. Fish is to your right. The Trident Restaurant on Bridgeway, a block from the ferry terminal, hangs over the water in a 19th century building with a psychedelic 1960 interior. From 1966-76, the Kingston Trio owned the restaurant (then called the Trident) and it was a gathering place for famous rock musicians of that era. Kitti’s Place at the north end of Bridgeway, is our favorite for unpretentious Thai food with a California twist. The chef, Ma, makes brilliant soups, fish dishes, turkey burgers, pot stickers, and much more, Outdoor seating and take out. Poggio is an upscale Italian restaurant on Bridgeway with good food and charming street-side seating. A beautiful place to dine. The Spinnaker, in a marina close to downtown, has one of the best locations in town, jutting far out into the water for spectacular views, and satisfying food. Very good seafood. 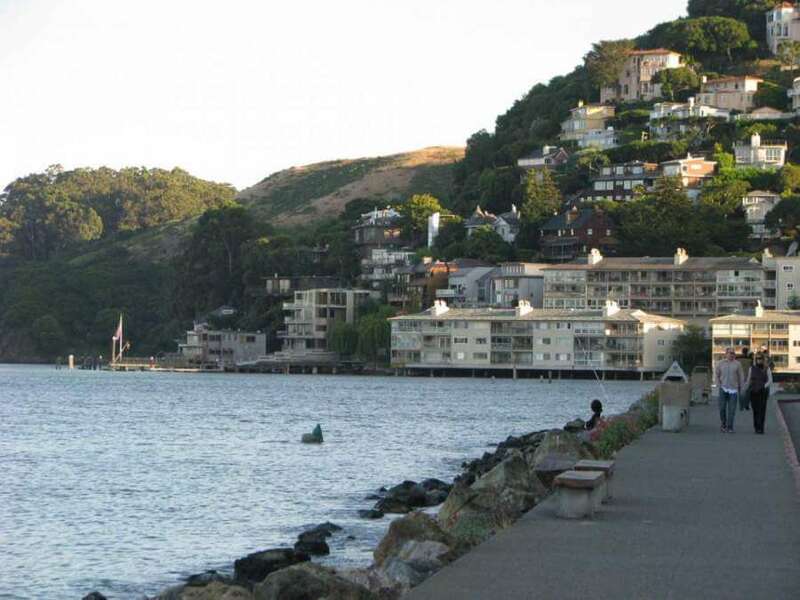 This is a great place to relax and appreciate Sausalito. Sushi Ran on Caledonia Street is a world-class Japanese and California restaurant with a massive collection of fine sake and wines. The BEST sushi and many beautiful dishes.